I hadn’t even heard Changes when I saw The Breakfast Club for the first time, but his words spoke to my ten-year-old self. I was one of the children they were spitting on. As I grew, I fell in love with that song and so many others (not to mention the music of his acolytes, from Suede and Bauhaus to Psychedelic Furs and Echo and The Bunnymen). 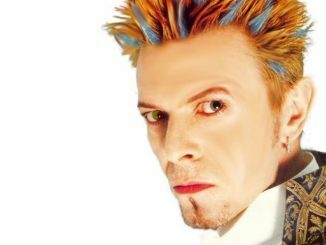 “Life On Mars,” and “Panic in Detroit,” to “Modern Love” and his take on Iggy’s “China Girl,” the man’s music is smeared in rouge across my heart. He was an Aquarius rising like me. The only time I ever saw him live was at some godawful radio station festival in San Francisco. Everclear played. Bowie was touring Earthling and wore an ankle length Union Jack coat. But “Little Wonder” was a pretty good song, and it was thrilling to share the room’s air with him. What strikes me today, amidst the grief and memorializing, is my impressions of the singer over the last decade. I won’t lie and say that I devoured his more recent output. I knew the artist was speaking his truth, but I was in a different place musically-more attuned to the rustic, the rustling, and the rumbling. No, it was his face that stayed with me. Despite the frequent portrayal of him as a cocaine cowboy of the debauched ’70s and the myriad references to his alien persona and aloofness, what struck me about sexagenarian David Bowie is the warmth coming off his visage. He seemed a man who had seen it, done it, and written the songs to prove it. That uniquely beautiful face, once a canvas upon which I projected ideas of decadence and androgyny, now gave off a gleaming warmth. He looked like someone you could talk to about stuff. The magic trick of his farewell is unlike anything I have seen. It restores him to the extraterrestrial status I mistakenly believed he had outgrown. You little wonder, you. I was deeply saddened to hear of David Bowie’s passing. My Dad was a fan and hearing his music as I grew up in the 80’s played a huge part in shaping my tastes. 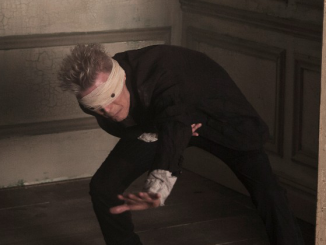 Bowie famously did whatever he wanted, consequently he found something new with every record. He embodied this artistry with his constant reinvention and over the decades he never became boring. I hope many more artists continue to share his vision, passion and challenge themselves to avoid stagnation. His most poignant song for me was Changes, in which the lyrics “I watch the ripples change their size, But never leave the stream” most stood out. This statement reminds me that we’re not in control, so go with what is set before you and enjoy life as you do. I think those final photographs, taken just 3 days before his death show that he did exactly that. Goodnight Mr Bowie, and while the man is gone, may the myth and the legend live on. “Heroes” 1977 from David Bowie on Vimeo. When the news broke on January 11th 2015 of David Bowie’s death, I knew, along with many, many others that the world would never be the same again. As far as I’m concerned he has always been there. Bowie was a pure innovator, a showman, he led the way for the misfits and the believers. He was, in essence the real Star Man. From my own childhood I remember the Ashes to Ashes video on Top of the Pops and that line “My mum said to get things done, you’d better not mess with Major Tom” that danced around my head as a child approaching adolescence and then a little older hearing Let’s Dance in the charts and dancing to it at the local disco. 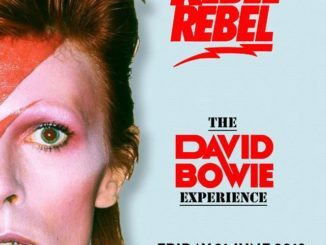 I even remember a perfume advert that used his song Rebel Rebel that I loved. That’s what I mean, he was always there growing up but from around my mid teens onwards, I discovered earlier Bowie albums such as Hunky Dory and The Rise and Fall….and that’s where his talents and voice really spoke to me. “Oh you pretty things, don’t you know you’re driving your mamas and papas insane” and Changes: “These children that you spit on….are immune to your consultations, they’re quite aware of what they’re going through”, he understood the misunderstood and his perceptive lyrics resonated with me. My favourite ever song by him is Life on Mars and that’s it. It’s beautiful and effortless and what can I say that hasn’t been said. I love the fact that my favourite TV show was named (and influenced I’m sure) by this song and him and was loved by many. 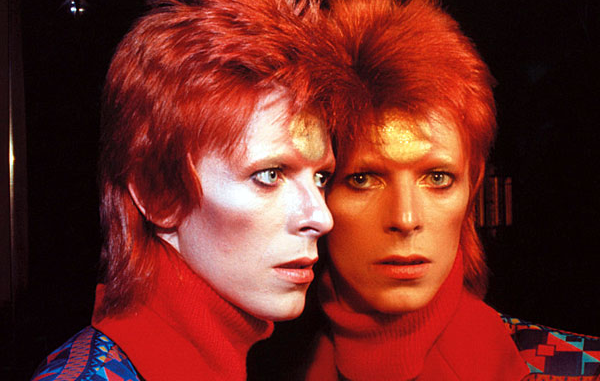 “Life on Mars” 1973 from David Bowie on Vimeo. While never following his music while he was alive, his contributions to the music I do follow is undeniable. From inspiring many of the bands I love, as well as pioneering many of the genres they play, Bowie is a man that will continue to inspire many for years, even after his death. So Henry became our name for each other and every one else who appreciated the music of Mr Bowie. Lazy saturday mornings, all of us sprawled on my friends brothers bed listening to Ziggy and other animals under the mantle of a huge poster of the man. We were 13/14, we went on a (secretly supervised) day trip to Scotland, Mandy & I. David Bowie was our soundtrack and our purchase was posters. We were cool, we knew it, we had the music, we had the era. Spiky hair, not short, but an attempt to style accordingly. While others were into pop, we gave our ears a joyride with the sounds of Bolan, Iggy, Bowie. Platforms… not where trains stopped but shoes high enough to cause a nosebleed! We were so damn lucky to be born when we were, to live when we did. Because you see, this mans work was the backdrop and soundtrack to my teens, twenties, thirties and yes, hes still in my car, in my collection, in cassette, in vinyl and cds. I have watched Labyrinth and the horrors of the alien living on earth. David Bowie has been the catalyst for many other genres of music, without his influence there are changes that may never have been. His last images seem to have him laughing in the face of his illness, two fingers up. And he is beautiful. Goodbye Davy Jones, you will always live on in your legacy left behind, and though the quote above is not from my favourite tracks, it is totally evocative of a time that was good. “Fashion” 1980 from David Bowie on Vimeo. On the day of his death, my news feed was filled with memories of Bowie. Everyone seems to have a moment. Some were fortunate to meet the man in person, some opened for him, some photographed him, some play in a tribute band, some chose the path of becoming a musician because of him, many saw him perform, and others, like me, just admired the man for his musical and creative prowess. At her Los Angeles concert last 8th of January, Patti Smith mentioned it was Elvis’ birthday and someone in the crowd screamed out “Bowie, too!” In reaction, Patti—coincidentally also a 69 year-old Capricorn—made a joke about playing with “all the young dudes” as a segue to the next song. I found myself thinking with regret later that evening that Bowie’s an artist I’ve never experienced live. Earlier that day I had tweeted about his birthday gift to the world: Blackstar, obviously oblivious that it would be his final opus, even though there seemed something ominous about his video Lazarus released that day as well. My musical relationship with Bowie began like many things in my life, via a mix of serendipity and curiosity. I think I was 11, and by whatever strange cosmic miracle, my small town library in Port Angeles, Washington, USA had a copy of The Rise and Fall of Ziggy Stardust and the Spiders from Mars (which had already been out for a while). I checked it out from the library and listened. I listened again, intently. I played and danced to ‘Suffragette City‘ on repeat (which meant walking over to the phonograph and manually displacing the needle). As in hundreds of times. It was clearly not an age-appropriate track, but I loved the sound of it and all the “Hey, man!” lines. I extended the library loan and listened some more. 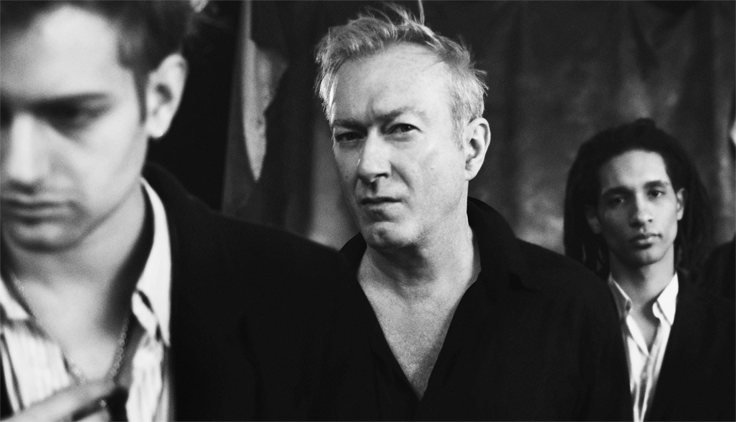 I can’t bring myself to listen to Blackstar again quite yet. It’s too heady and haunting for now. Sadly, next time, her list will include David Bowie.